The above ground swimming pool is an economical choice these days compared to the cost of an inground swimming pool. Another nice thing about above ground swimming pools is that they can be installed easily in tight spaces and can be removed easily if you should decide to sell the house. 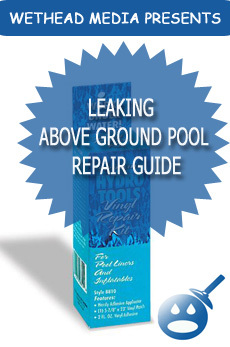 Before you decide to hire someone to install your above ground pool or even try it yourself you will want to fist know what is involved in the process. Not only will there be many models and shapes of pools to chose from but there will be all sorts of other things you will need to think about like filtration as well as the location of the pool and possibly the hiring of an electrician if you do not have power to the swimming pool area. There are many popular brands of above ground pools such as Dough Boy, Esther Williams, Johnny Weissmuller and off course Aruba Above Ground Swimming Pools. Pools such as the Dough Boy brand will come with an expandable liner that will require a bit more work to install compared to a standard liner that will come with a Johnny Weissmuller pool. 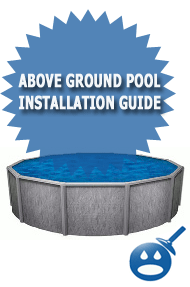 This mini above ground installation guide will give you an overview of what is involved when you decided to have your pool installed by either a professional or yourself. Please not only will you need the tools and the pool but you will probably need at least 2-3 people that can do physical labor as well to help you build the pool. The most important thing is to carefully take everything out of the box to make sure you have all the parts, manuals and accessories that the pool was supposed to come with. Sometimes during the shipping or delivery process things can get lost so you will want to be sure that everything is there before you make the plans to build the pool. 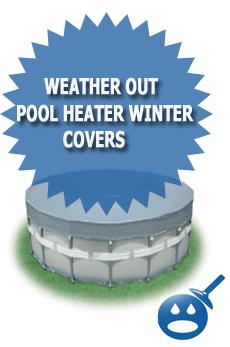 If you are missing parts to the above ground pool you will want to call the dealer you bought it from right away and tell them what you are missing so they can deliver it and you can get your swimming pool installed. Now that you have made sure that you have all the actual parts that are supposed to come with the swimming pool you will now need to make sure you have the right tools you will need to install the swimming pool and to also assemble the filter system, but don’t forget you will also need tools to help level the ground / pool area as well. Choosing the right location for your above ground pool can be easy or difficult depending on your backyard set up. There however is many things you need to think about as well as consider before ultimately decided where it will go. One of these things will include placing the pool in direct sunlight so that the above ground pool can have a decent water temperature in early and late parts of the swimming pool season. Another thing you will have to keep in mind is local town codes. In most areas the swimming pool needs to be a certain distance from the house fence and so on. Picking where the pump & filter should go is something that is very important for a number of reasons and is often overlooked by many homeowners when they start making plans for the pool installation. For example if you build the above ground pool with the filter system near the house and you have your pool timer set for the night when you are sleeping then the noise of the pump could keep you awake. Another thing to think about is the safety of the children that will be using the pool as well. The swimming pool surface must be free of all roots, stones, rocks and of course be completely level. You can level the swimming pool area in a few different ways. You can use a roto-tiller, a bobcat grader or even a old fashioned shovel. You off course will need some type of leveling device such as a transit to make sure the ground is flat when using any method listed above. If you are installing a round or even a oval above ground pool you just make sure that the tack is equal in all the place. If you are building a round pool you will want to make sure the track is 100% round, if you are building an oval pool you want to make sure that the rounded ends are uniform as well with the pool. If you do not make sure these steps are correct your pool will not be completely round and if its an oval pool you certainly will be out of shape. Placing the steel or aluminum above ground swimming pool wall into the track can be one of the most frustrating parts of building the entire pool if you have never done it before. You want to make sure that when you are building the swimming pool that you keep the track clean and free of all debris, sand and so on other wise the pool wall will not completely fit into the wall track and you will wind up with issues later on in the build. So it is very important to get the wall to sit in the pool track as best as possible. There are two different types of pool base that you can use for an above ground swimming pool. You can use traditional poll sand which is also the same thing as mason sand, or you can use some thing called “pool base” which is made from vermiculite. If you want a hard pool bottom you would use the sand as the pool base. If you wanted a softer base for your above ground swimming pool you would want to use the vermiculite as it creates a more cushioned feel. There are a few types of swimming pool liners. The main two types of liners are called the “over-lap” pool liner and another type is the “hung liner” which is also another very popular type of swimming pool liner that comes with many pools today. You want to install the liner wrinkle free and then attach the line into the track or use the liner hold downs to hold the liner in place if you have an overlap type swimming pool liner. Once you have installed the pool liner hanger and the pool liner, you can now start to install the “top seats” as some like to call them, and start bolting all the top rails all together. You will now start to see that your swimming pool will start to strengthen up and won’t be so wobbly anymore. You will also want to start filling the pool at this point. As the water starts to fill the pool you will want to make sure the liner goes in wrinkle free. Once you have installed the swimming pool liner and have started filling the pool it will be almost time to “cut in” the skimmer and return on the pool. Cutting in the skimmer and return means that you will install the skimmer and the return but will have to cut the liner in doing so. You always want to cut the skimmer and then return fittings in when the pool water is at least half full. One of the nice parts about owning an above ground pool is that the filter system is not complex like most in ground swimming pools. In fact most above ground swimming pools will hook up with a few flexible hoses and some hose clamps. Once you have complete hooked up the pump and pool filter you will want to prime the pump and the filter system with water. Once everything is all hooked up and primed you will be ready to start the filter system and also add the start up chemicals. Usually the swimming pool will come with a basic “start up” pack that will get your pool chemistry in balance. Next the top of the pump will hook to the “IN” on the pool filter with a fitting or another hose. Then the filter “out” will hook up to the return fitting on the pool wall. WARNING: when ordering a replacement liner YOU MUST NOT ASSUME THAT THE LINER IS A STANDARD SIZE. Case in point, our Johnny Weismuller oval Jungle King (about 22 years old) is according to the original brochure and the original invoice a 15′ X 30′ pool. We special ordered a standard 15′ X 30′ liner (Swimline brand, Portofino pattern) waited two weeks for delivery. Upon installation, the first thing the installer did was measure the oval frame– which turned out to be 29′, 5″ instead of the official 30′ specification of the manufacturer. Personally, I do not attribute this to installation variation but I am not 100% certain. The original Johnny Weismuller liner fit perfectly. The installer said that the new liner definitely will not fit properly and we must return old and order custom specification at 15′ X 29′ 5″. I do not believe this was a scam as the custom sized liner was only $50 more. The installer and pool company representative were very clear that the first liner would not fit properly and that the re-order was necessary. Nobody goes through this problem to make $50. So, my experience is that you must not assume your liner is a standard size and you must measure it yourself before ordering or you run the risk of lost time, higher cost and restocking fees. Moreover, IF YOU ONLINE ORDER YOUR LINER IT IS GOING TO BE VERY DIFFICULT IF AT ALL POSSIBLE TO RETURN IT. The installer said that he finds these kinds of variations in pools including Johnny Weismuller (which I understand is recently out of business). From this experience I wonder if Johnny Weismuller made pools, at least for some period of years, with a slightly non-standard size liner for one reason or another. Replacing a pool liner is a rather tricky proposition. Much guidance I have seen on the internet provides the steps to install but fails to address the critical issue of getting the proper size liner to begin with. I am putting out there this information on the chance that it will help someone else avoid the delays, headaches and higher costs associated with not getting the size exactly right, the first time. At the very least, those with Johnny Weismuller (and Ester Williams) pools have fair warning to be very cautious when replacing your oval pool liner. Perhaps this is different for round pools, but it definitely can happen with ovals and my installer and dealer have run into exactly this situation before. With that, perhaps this will help some poor dogs, replacing their liner in the heat of the summer, and in a hurry to do so. Good luck with your pool liner installation!! 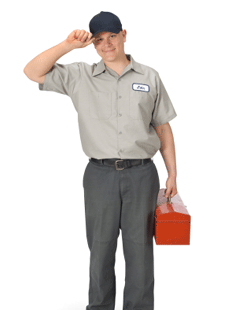 Everything is very open with a precise description of the product and troubleshooting tips. It was truly informative. Your site is extremely helpful. I like the valuable information you provide in your articles. I will bookmark your blog and check again here frequently.